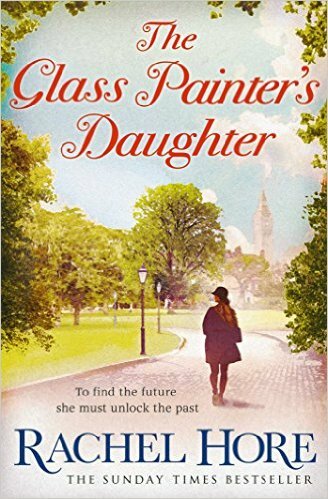 It’s book review time, and this week I’m reviewing The Glass Painter’s Daughter by Rachel Hore. Let me just start off by saying I loved it. Really loved it. 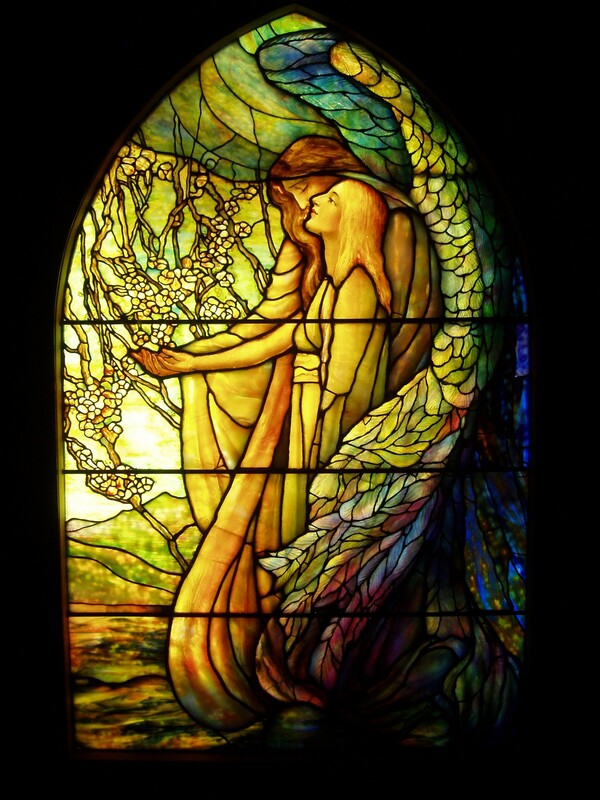 The story is as lovely as the stained-glass that envelops it, and the angels that appear round every corner. Ok, I’m gushing, but you get the drift. The story is set around the garden squares of Westminster. We follow Fran Morrison and the mysterious Laura as their histories merge the past and the present. Fran returns home to Minster Glass after her father falls ill, and sets about taking care of the family business, along with her father’s long-time assistant, Zac. Minster Glass has been in the family for generations, and she’s not going to let it down, even if it means putting her music career on hold. She falls back into the routine of the stained-glass workshop, but following up on a letter to her father from a local Vicar, Fran and Zac take on a new commission that will change their lives. A church window has been discovered, packed away during the war, shattered into pieces and it needs restoring. Looking through the meticulous archives that her father has kept, Fran discovers how the window was commissioned, and uncovers a Victorian love story that reflects back upon her own life. Now, this isn’t a soppy, Mills & Boon type story, and as we weave between the present day (well, not quite, the book is set in 1993) and Victorian London a beautiful story emerges. Every chapter begins with an angel, and they are definitely a theme of the book. We see how beauty settles alongside tragedy, and how light can work its way through a storyline. I am a sucker for books that have parallel historical storylines, (Barbara Erskine and Kate Mosse are two of my favourite authors), and Rachel has crafted a book that flows exceptionally well. We move from one era to the next with ease; different points of view and voice make the transition easy and it never feels forced. Likewise, plot and theme seemed natural and without fault. I can’t say too much without giving away the plot, but there’s a reason it was a Sunday Times Bestseller. If you love the otherworldliness of Erskine or Mosse, you will love Hore’s work. This book doesn’t take you into the mists of a long-lost time, but will transport you to Victorian Westminster and back to the modern day, each time revealing a little more about the history of Minster Glass. When I reach the bottom of my ‘to-read’ list, I’m going to look for Rachel’s other books. I think I’ve found another favourite! The Glass Painter’s Daughter is published by Simon & Schuster, available on Amazon and at your favourite retailer.